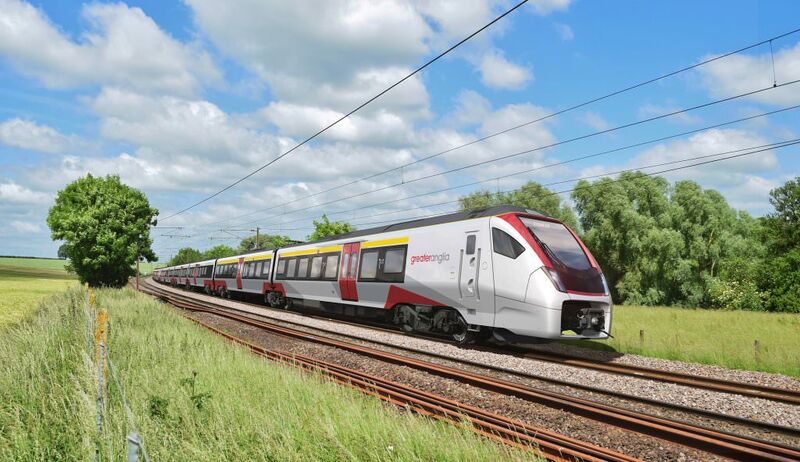 Images of what some of Greater Anglia’s (GA) new fleet of trains could look like have been revealed. The operator has released a number of computer-generated pictures of what customers can expect of the 58-train Stadler Flirt fleet, which is being built in Switzerland. The trains will enter passenger service from 2019 on intercity and regional routes as well as the Stansted Express. In total, GA is spending £1.4 billion on replacing its current fleet with 169 new trains. Of that 58 trains are being made by Stadler and the rest by Bombardier in Derby. The post Greater Anglia releases new images of Stadler trains appeared first on RailStaff.